As they swam past each other, one fish asked another, “How’s the water?” The other fish replied, “What’s water?” The point of the story is that it is easy to forget what surrounds you and fail to examine it because it is what you know. To an outsider, those same surroundings might seem strange. We are immersed in culture with its artifacts, values, and assumptions. Unless something happens to challenge those givens, we rarely think about the culture we find ourselves in. For those of us who work with churches, the term “culture” has at least two meanings. On one hand, culture is the larger environment in which we live. For Christians, culture can be both a gift and a challenge. Our culture--language, political structures, customs, relationships--provide a stage on which we perform our ministry. Early Christians like Paul discovered how to use the Graeco-Roman culture to communicate the Gospel. As missional Christians, we have to decide what aspects of the culture help to fulfill the mission of God and when we must be counter-cultural to do so. Second, there is the culture within our particular church and denominational “tribe.” These include the doctrine, practices, and rituals handed down to us and the way we relate to each other through a common terminology, ways of relating, and values. Some of these aspects are clearly identified and espoused, but more are like the water in which the fish swims: we don’t see them until something changes. In fact, much of the culture within our organizational structures is submerged and invisible like the larger mass of an iceberg. If we want to change our churches, we must understand both the internal and external culture. Not everything happening in the larger culture is immoral, although it may be different. The way we have always done things in the church may not reflect the intent of the Gospel. In a recent blog post, Seth Godin wrote, “We have far more ability to make an impact than we expect. The only people who can change our culture (and thus our future) are us.” Perhaps we need to put on the hat of the sociologist, examine our cultures, and identify the best way forward. Over 20,000 clergy in Protestant/evangelical churches are forced from their ministry positions in the United states every year. Just over half of these ministers will return to full-time ministry roles. One consequence is that fewer seminary students are choosing parish ministry. Only half of the seminary graduates will be in ministry roles ten years after graduation. How do we create trust? How do we make the Gospel central for mission and vision? How do we encourage caring relationships by sharing our faith stories? How do we address continual change? What is the role of leadership in this process? During the meeting, someone asked me, “What is the answer?” This discussion helps us to understand that there are many answers. This is a systemic problem, and the task is to identify the strategies that have the greatest potential leverage to improve the climate. Actions must involve clergy, laity, judicatories, and theological institutions. There is a better way. This was a step in finding it. 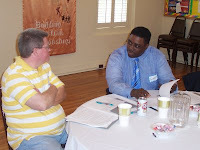 Made possible by a financial grant from the Rotary Club of Richmond, the think tank was sponsored by Transforming Clergy-Congregational Health Network, Inc. Charles Chandler is President and Treasurer, Bob Dale is Vice President, and Arch Wallace is Secretary. Facilitators were Susan McBride and Kathryn W. Kruschwitz. Information here is used by permission. How Does Your Church Measure Success? You can always count on your students to bring you back down to earth! In the seminary class I teach on Missional Imagination, we challenge students “to think, imagine, innovate, and lead in ways that foster ministry startups and nurture established ministries that are missional in nature.” At least that is what the course description says. Another way of describing our goal is helping students to reimagine Christian ministry as part of the missio Dei--the mission God given to the people of God and empowered by the Holy Spirit. Of course, it takes a whole semester to unpack this concept, but eventually someone will ask a question or write a paper that includes a statement like this: “Although missional ministry is often slow and may not have quantifiable results, the truth of the matter is those who are funding the ministry will always want to have a visible and measurable outcome as proof that their dollars are put to good use.” In other words, what is the ROI--return on investment? Churches in 20thcentury America generally had two measures of a successful church--nickels and noses (although sometimes stated in less delicate terms): How much is being contributed? How many attend on a Sunday? These metrics have continued into a century where many churches finding fewer individuals passing through the doors and fewer dollars placed in the collection plate. Both of these measures are important. We do want people involved, and we do want the financial resources to pay the bills; however, are these the only way to measure effective ministry? A starting point is to adjust our paradigm or frame of reference. In his book Missional Renaissance, Reggie McNeal suggests three shifts for a missional church. First, from an internal to an external focus. Much of the effort expended in the 20thcentury church was about maintaining the institution as an end in itself. This is characterized by the member in a declining congregation who says, “I just want my church to be here to bury me when I die.” From a missional perspective, one might say instead, “I hope that people will remember how this church was an influence for good in this community.” Rather than thinking of church development, we should think about community development. Second, from program development to people development. The genius of the 20thcentury church was based on an industrial model by which we could produce more active church members through a standardized approach to Bible study and training. The idea was, “One size fits all.” The missional approach recognizes that everyone comes to Christ in his or her own way and disciple formation must be customized. We don’t all start at the same point in our Christian journey and our uniqueness determines how we can best grow and serve. Third, from church-based to Kingdom based leadership. The 20thcentury model was based on a denominational brand. If you went to X church, you had a pretty good idea what it was all about because of the sign outside. There was a time in our culture when some car buyers were less interested in transportation than in owning either a Ford or Chevrolet because they knew what they were getting. In the same way, you chose your church by the brand. The Kingdom was divided up into little fiefdoms. The current trend to take the denominational tag off the sign or declare a church as “nondenominational” or “interdenominational” has only amped up the competition. The missional church recognizes that each church is unique and has something to offer in the larger work of the Kingdom of God. God has placed it where it is for a special purpose. What percentage of our church’s budget is invested in community ministries? How are our buildings being used to serve those who are not part of our fellowship? What partnerships are we developing that benefit those in our community? How are helping people develop their personal relationship to God? What opportunities are we offering to help those in the church discover their gifts? How are we equipping church members to serve each other and those outside the walls of the church? How do we encourage and support those who serve outside the walls? How are we developing structures of accountability for Christian growth and service? How many partnerships are we developing with other churches, faith groups, and community organizations to meet community needs? There are certainly other effective metrics, but these are attempts at measuring long-term impact for the Kingdom of God. So how does your church measure success? Give it some thought. In one of my seminary classes, I ask students to write a final paper describing what they have to offer as a missional leader--one who leads a church or organization to embrace the missio Dei--mission of God. On several occasions, students have cited the quality of resilience. Resilience is defined in the dictionary as “the capacity to recover quickly from difficulties; toughness.” Much like grit and mindset, this has become a topic of research in positive psychology where it is seen as the ability to cope with a crisis or to return to pre-crisis status quickly. In most cases, those students who cite resilience as a personal characteristic have identified it as a result of life experience--failure in a project or program, loss of a job, rejection by a significant other, or death of an important person in their lives. This is not a theoretical attribute but one that they have practiced and recognized in themselves. 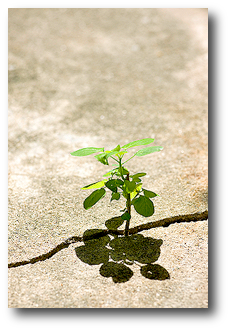 What are some things that can help a person in ministry to practice resilience? First, a person must have a clear sense of calling to ministry. If one is truly called to ministry, the initial perception may be only a seed, but as one practices his or her calling, the rightness of vocation will grow over time. My calling as a minister has been verified by my life experience. Although the manner in which my ministry is practiced has changed over the years, the deep inner conviction has only grown stronger. This gives me a sense of hope and purpose that is sustaining. Second, we must exercise the ability to learn from failure. The easiest part is to fail. The difficult part is to want to learn from the failure and attempt to avoid making the same mistake twice. We learn from failure through self-reflection and feedback. In self-reflection, we are willing to revisit the failure and pick through the pieces much as an FAA analyst picks through an airplane crash. It can be painful. This process has a tendency to be subjective, so we ask others for their analysis and feedback but, most importantly, we take that feedback seriously. The good news is that, in the process of analyzing failure, we discover the good as well as the bad. We see what we did right as well as what we did wrong. Third, we get up, dust ourselves off, and try again. Of course, if we have practiced step two, we don’t do something exactly the same way again. We develop new strategies and approaches. We build on what we have done before but with improvements. Most importantly, we act. In reviewing these results, most of us realize that if a person is continually dealing with conflict, financial concerns, or family issues, he or she will probably consider “a change in calling” for personal well-being and relationship health! We expect too much of our senior leaders and often fail to provide the support they need in setting boundaries. Most of the challenges cited here relate to boundary issues. Both lay clergy leadership may have difficulty knowing where one’s responsibilities leave off and another’s begin. There are often assumptions on both sides that are not only wrong but create an environment that feeds distrust and power struggles. Of all the work/life balance issues that pastors address, those related to family are most sensitive. These may range from how much time the clergy person spends with family to how much the church expects from the spouse and children. Financial concerns, of course, are often left unaddressed by leadership. Staff members don’t like to address issues of adequate compensation and the lay leadership would rather assume that everything is going well as long as the staff member stays with the church. When one clergy person of my acquaintance left his former church, he was able to express in the exit interview how poorly he had been compensated. This did not help him, but it did provide a wakeup call for the personnel committee to address the needs of those who were still on staff. There are ways to address these concerns, thus improving pastoral satisfaction and tenure. Church leaders can provide coaches for pastors to support them in setting healthy boundaries. They can also promote an atmosphere where their clergy leaders can be honest about the pressures that they face, calling upon outside consultants and denominational staff to facilitate such discussions. They can work to provide the resources—spiritual, professional, and financial—that their clergy leaders require. The key thing to realize here is that clergy leave the ministry every day; that is not news. This story only saw the light of day because of the high profile of the minister involved.If lay leaders do not step up and accept this responsibility, stories like the one in our local paper will only multiply. The pastor cares for the congregation, but who cares for the pastor? I often hear the phrase "a healthy pastor makes for a healthy church," but we will only have healthy pastors as well as other clergy leaders if we are intentional in providing the support they need. Unfortunately, many churches do not yet see the need to invest in their ministers. Whatever the church can do assure the health of the pastor and staff--spirituality, physically, emotionally--produces a great return on the investment. Every change of pastor or staff member challenges the smooth functioning of the congregation. When a pastor leaves, churches not only go through a time of transition, but members are called on to invest time and money in finding a new pastor. The same is often true in replacing an effective staff minister. In most cases, a longer pastor or staff tenure benefits the congregation, providing continuity and assuring forward momentum. In a like manner, a minister who is nearing burn out cannot lead effectively. 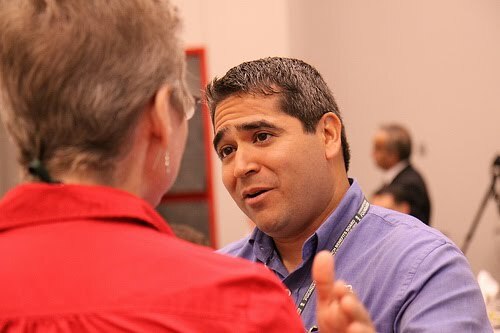 If a clergy leader is struggling with a spiritual, emotional, or physical concern, he or she cannot function effectively in congregational leadership. What are some things that a congregation can do to invest in its ministers? First, set boundaries. The congregation does not own its ministers nor are they simply hired hands. They are professionals who are seeking to fulfill their call as well as uniquely gifted individuals. 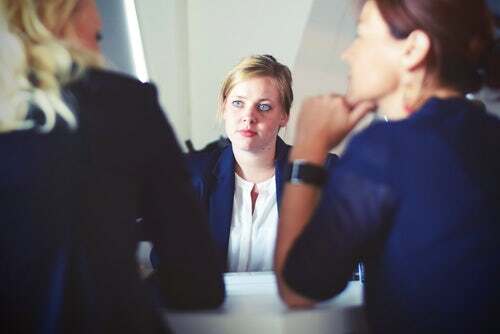 Lay leaders need to have a clear understanding both of their expectations of their staff and when they are intruding into the personal lives of those individuals. Second, the pastor and other ministers need weekly Sabbath. This does not take place on Sundays, usually the busiest day of the week for the staff. If most of the people in your congregation are working five days a week (probably 40 to 50 hours), then staff members should be expected to do the same with the understanding that Sunday is a day of work for them rather than a day off. Third, the church should provide adequate health care for their staff. Too many churches are taking advantage of their ministers by shifting the cost of health care to either a spouse’s policy or some other alternative such as military duty. Health care must also be seen as holistic--physical, emotional, and psychological. Fourth, ministers need the opportunity for renewal. When a minister attends a conference, participates in a denominational meeting, or attends a peer group, this is not vacation time. This is necessary for the minister to “sharpen the ax” in order to be a more effective leader. Fifth, each minister needs to have someone who can be an objective sounding board. This function is often provided by a professional coach. Even if this benefit is not provided continually, a coach can be especially helpful for a minister when a new challenge or opportunity arises in the life of the clergy leader or the congregation. Sixth, the church should have a policy of providing sabbatical leave for each minister after a certain period of time, usually every five years. Encouraging your ministers to have time away for relaxation, reflection, and learning reaps benefits for the congregation in more focused and better equipped leaders. Unfortunately, few pastors or staff members advocate for these things on their own. Key lay leaders in the congregation can show their love and support for the ministerial staff by being vocal advocates for this type of support. Everyone will benefit. As I read the story of the Good Samaritan during my devotional today, I was reminded of the times that I have heard the story in the Christian education setting of the local church--as a youngster in primary and intermediate classes (old terminology), as a young adult in college classes, and then as an adult, often teaching the passage myself. The characters and story line are very familiar due to these experiences of Christian education. These are challenging times for Christian education in the church. Like so much of what is happening in the church today, the old forms do not seem to support present needs. What once worked no longer seems to be effective. Christian education or the formation of believers is in a state of flux. As I think about the shifting role of Christian education or formation in the church today, I am drawn to the centrality of scripture in this process. The Bible is our most important resource. There are four things that we must address more effectively in regard to the biblical text. First, learners need to be familiar not only with content but the context. Not only do we need to know the characters and stories of the Bible, but we should understand the overall flow of the message of scripture, the context in which a passage was written, and the intended audience. My Bible study class members seemed relieved Sunday when I noted that our lessons were moving from the Old Testament to the New Testament. They struggle with passages that express an intent of God to either kill a large number of people or to instruct God’s people to do so. How do we help learners to understand the underlying intent and meaning of such passages? Second, we must help learners conceptualize the nature and formation of scripture. Most believers approach the Bible as a one-dimensional book. 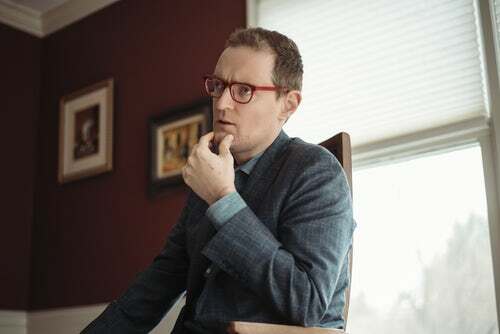 They may understand intellectually that there are different kinds of writing both in the Old and New Testaments, but this rarely impacts their interpretation and application. They tend to see the Bible as a flat plain with little differentiation in topographical features. They fail to see the literary richness and diversity. The scriptures grew out of a dynamic context which is clearly reflected in their content. 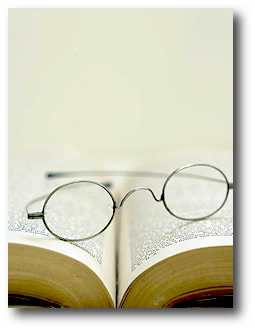 Third, we can help learners adopt appropriate lenses through which to interpret scripture. One of these lenses is the person and work of Christ. The way Jesus used the Old Testament provides us with a transformative view of the Hebrew writings. We also have the lens of the Holy Spirit. Just as the biblical writings developed in a dynamic context, the Spirit continues to intercede with us to provide insights that are appropriate to our lives and times. Fourth, application is essential for those who study the Bible; otherwise, we are engaging in a ritualistic, scholastic exercise that fails to reach the goal of forming disciples. Through the Spirit, God continues to use scripture not only to instruct and form us but to transform us as well. Much of the decline of Christian influence today comes from our failure to form disciples who have a healthy understanding of scripture and how it informs our daily lives. Believer, scripture, and Spirit can interact in a way that brings transformation in the life of the believer and furthers the work of God’s kingdom. Do you feel stuck? You know what I mean. You are overcome with responsibilities and find yourself in a type of paralysis. Or perhaps you just have too much on your plate--a lot of good choices but no clear priorities. Or maybe there is something that keeps you up at night and requires resolution. If you want to be proactive and get out of this situation, there are a number of options available to you. The International Coach Federation (ICF) has posted a decision chart that might be helpful in making a choice. The options are not limited to coaching. There are several paths you might take. Psychotherapy. Therapy or counseling helps a person to deal with unresolved issues from the past or present such as grief, anger, or loss. The therapist or counselor helps the client define the issues and develop coping strategies to deal with emotions and relationships in more productive ways. Mentoring. A mentor is an experienced person who can provide insight, guidance, and wisdom for the protégé. Mentoring relationships may be either formal or informal. Consulting. A consultant is a person who is an expert in some area such as financial management or business practices. The consultant may not only diagnose the problem but prescribe and, perhaps, implement the solution. Training. A trainer has a prescribed program or curriculum that the learner follows. The learner decides whether the objectives of the course meet his or her needs before engaging in the learning process. Training can address skills development, increased awareness and knowledge, or personal improvement. Coaching. ICF defines coaching as “partnering with clients in a thought-provoking and creative process that inspires them to maximize their personal and professional potential.” The coach recognizes that the client is the expert on his or her situation and comes alongside to identify strengths, options, goals to pursue, and accountability structures. I would add spiritual direction to this list. Spiritual directors can walk alongside those who wish to grow in their relationship with God, helping believers to strengthen that relationship through spiritual practices, reflection, and action. Are you feeling stuck? You don’t have to stay that way. You have options. What are signs of hope in congregational life today? Eddie Hammett, president of Transforming Solutions, LLC, was asked this question in an interview in the March/April issue of Nurturing Faith Journal. Always looking for positive comments about the future, I found Hammett’s responses to be informative. First, “the perseverance of the few leaders who are open to the Spirit’s leading, innovative thinking and risk-taking leadership strategies.” My only disagreement with Hammett is that I think there are more than a few congregational and denominational leaders who realize that the old approaches no longer work. Some have realized this too late, I am afraid, but others have caught the wind of the Spirit and are ready to engage in something new. 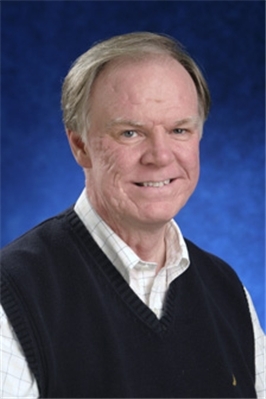 Second, Hammett cites Christian coaching that offers hope to “individuals, teams, churches, and denominations that face steep learning curves” and “overwhelming challenges” but seek something that is “more transformational and focused on life change.” Coaching engages individuals and groups on a deep level, helping them to discover the resources that are already within their grasp and learning how to utilize them for lasting change. I see this happening more frequently as other approaches have failed. Third, “congregations open to the Spirit, and to new ways of thinking, collaboration and empowerment rather than a control-and-conquer mentality and vision.” Each person, church, and denominational entity has something unique to offer in Kingdom work. We are not in competition in God’s work but called to work alongside others in our particular area of giftedness. This perspective makes a significant difference in our ministry planning. Hammett offers some great insights on traditions, trends, and changing times in this interview with John Pierce, editor of Nurturing Faith. I encourage you to read it. 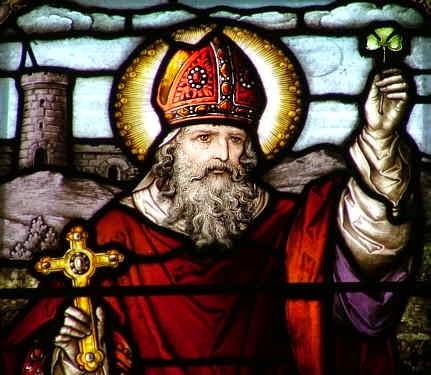 The life and accomplishments of the saint we call Patrick have certainly been embellished and enhanced by early hagiography and centuries of veneration. 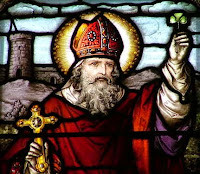 Historians assume that some acts attributed to Patrick were either done by others or are simply good stories that have become part of his legend. In death, Patrick is undoubtedly a much larger presence that he was in actual life. This is true with so many religious and historical figures. They may have been decisive, even heroic, figures but we can no longer separate the person from the legend. Not only is Patrick an iconic figure, he has also become linked with what we know call Celtic Christianity. Thomas Cahill’s book How the Irish Saved Civilization introduced the rich tradition of the Celtic and specifically Irish contributions to a mass audience. George Hunter drew on similar ideas for The Celtic Way of Evangelism. Just as we add much on to the lives of honored individuals of the past, we have probably created a picture of the beliefs and practices of ancient Christianity among the Celtic peoples that is richer and more robust than the reality. There are certainly some characteristics of the Celtic Christianity concept that are close to the original practice of the faith among Celtic peoples. First, those believers had a very strong regard for Creation so they readily responded to teachings about the Creator God. They lived close to the land, the seasons, and animals, so they felt a strong tie to both Creation and Creator. Their experience of Creation was real and vital as was they connection to the Creator God. Second, these early believers had a great respect for each other—men and women created in the image and likeness of God. They saw the goodness of humankind before the fall and grounded their belief in that original state of innocence rather than in the consequences of the Fall and the idea of original sin. Church history reports that both women and men held places of considerable authority in the church among the Celtic peoples. This ecclesiastical equality reflects the egalitarian treatment of men and women in early Irish law. Third, they valued community. They saw community as a vital part of being human. Within community—both ecclesiastical and secular—people worked together, held each other accountable, and supported one another in time of need. They also saw community as the place of redemption. This is certainly what Christian community should provide as well. Just as the lives of the saints call us to be better people, the accounts of Celtic Christianity challenge us to reenvision the true essence of the Christian faith. Both Patrick and Celtic Christianity call us to fresh perspectives on our faith. "The good news is that God loves us, and we’re all created in God’s image. And if you really believe that today, then that means staying grounded in that good news, being open to the world, taking creative risks and investing yourself and your resources." As I read this passage, I became aware that this provides a good theological basis for coaching. First, we are all created in God’s image. As I am involved in coaching my clients, I am aware they are individuals created in the image of God. They are special and unique. No matter where they are in their spiritual walk, they are important to God and to me. Second, my approach to coaching is grounded in the good news. For me that means everyone has the potential to be “transformed by the renewing of [the] mind” (Romans 12:2) and seeing life through the perspective of the Gospel. This perspective enriches and empowers our daily choices. Third, we are to be open to the world, taking into account the environment in which we function. We do not live in a vacuum but in a world that impacts our activities. In our setting, we discover both challenges and opportunities if we will only open our eyes to them. Fourth, God challenges us to be creative risk-takers. If we take our faith seriously, we are called to do things that may be out of synch with our culture, but this may often be the path of real growth. One role of the coach is to walk with the client as that person tries out new behavior or pursues goals. Fifth, in a coaching relationship, I encourage the client to take a full accounting of the resources available to him or her. These may be personal values, gifts, or skills, but they can also be external factors such as relationships, networks, and physical resources. Palmer’s quote provides an effective and succinct theological basis for coaching. Doing Ministry “To” or “With”? Eliot and Emily Roberts are two of my ministry heroes. 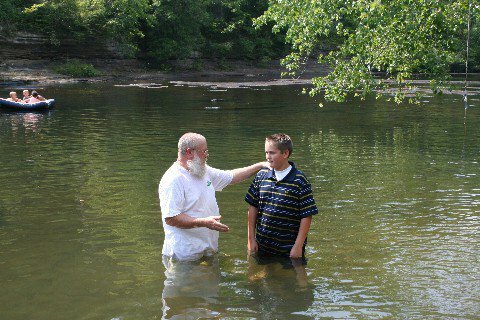 When they started Neverfail Community Church on the Cumberland Plateau of Tennessee about 20 years ago, they realized that the challenges were significant. This area has one of the highest rates of production and use of methamphetamine in the nation. At least 33 percent of those in the area have not achieved a high school diploma or GED. Only a small proportion of families have heads of household with year-round full-time employment. Early in the life of the church, Eliot told me a key part of their philosophy: ministry must be done with people rather than to them. Often, we assume what others need and seek to supply it, then we are disappointed when they do not embrace our generosity. The rejection is not necessarily due to hostility but because we are not offering what they really need. Before we invest in helping others, we might first ask them what they need and how they can first help themselves. In every community, people have skills and abilities that may only be marginally tapped. Wouldn’t they be more motivated and productive if we helped them use what they already have, rather than imposing something on them? Every person is made in the image of God and deserves respect. Before we can really help people, we need to know and love them. I think that is what the Roberts have attempted to do for the last 20 years. 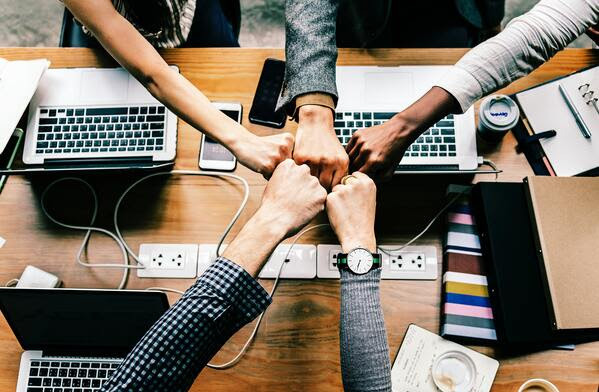 A number of researchers and writers in recent years have addressed the subject of employee satisfaction and engagement. 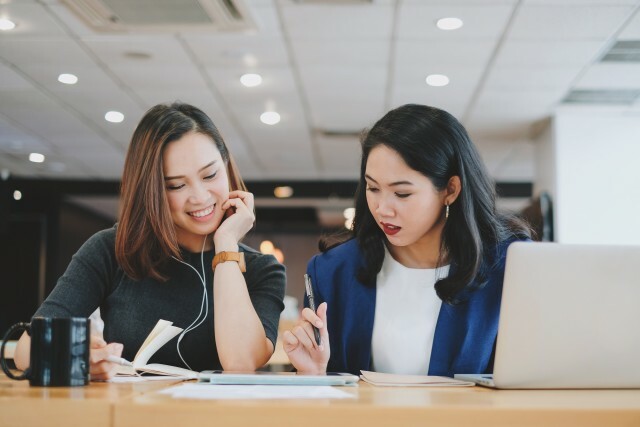 There seems to be universal agreement that the more engaged an employee is the more likely that he or she will be productive, healthy, and stay with the organization. Mark Miller has written several books on developing a high-performance organization--Chess Not Checkers (being strategic), Leaders Made Here (building a leadership culture), Talent Magnet (attracting and keeping the best people), and now Win the Heart on creating a culture of full engagement. Miller’s key question is, “if people see their work as just a job, why would they bring their full, best self to work?” Using the familiar business fable approach, the author maps how business owner Blake Brown discovers the keys to creating a workplace where people are excited, engaged, and energized by what they do. 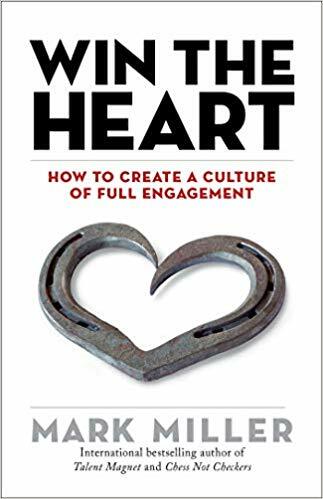 Drawing on insights from Civil Rights leaders, Renaissance masters, Alexander the Great, Vince Lombardi and Bart Starr, and a Texas rancher, Miller leads us on a quest to discover the four foundations of engagement: Connection, Affirmation, Responsibility, and Environment. These provide the basis for creating a caring culture that engages people. All usual, one comes to the end of Miller’s book thinking, “OK, that is just common sense.” The reality, however, is that these practices get lost in the everyday operation of an organization. Miller provides another challenge for leaders to step up, learn the lesson, recognize the need, and act upon what they have learned. The book is short, but the content is relevant. Win the Heart is well worth the read. Bob Tiede has observed, “Leadership is not as much about knowing the right answers but asking the right questions.” In situations where the leader of an organization is chosen for his or her knowledge, knowledge can quickly become obsolete. Rapid change and the proliferation of information require the ability to learn and grow. One way to learn and grow is to ask good questions and obtain new knowledge. This begins with asking good questions of other members of your team. Not only does this provide needed information but communicates the leader’s confidence in team members to be (or become) the people with the answers. They are on the front lines, so they should be engaged in assessing needs, discovering resources, and providing answers. Asking good questions of those you serve is also important. The coach of one of my grandchildren’s basketball team pulled the kids aside at the end of a practice and said, “I am not a mind reader. If you don’t understand something I am doing or am asking you to do, let me know.” Too often we think we know what people want, need, or are willing to do. When we talk to others and ask good questions, we can learn how to be more effective. Of course, the leader who uses this approach is making himself or herself vulnerable by admitting their limited knowledge. In doing so, the leader is just facing reality. A Japanese proverb states, “None of us are as smart as all of us.” A good leader uses every resource, or scrap of information, available. This is what makes a great leader. This does not mean that the leader is abdicating the role of decision-maker. There is great value in consensus decision-making, but ultimately someone makes a choice of the path to follow. When others have had the opportunity be part of the decision, they are more likely to follow. In a blog for the International Coach Federation, Diane Craig discussed leadership styles for aspiring leaders. Some are suited for short-term situations where immediate impact is needed. Others are best when there is time and space to provide leadership over the long term. Most pastors find themselves in situations where long term strategies of leadership can be implemented. Craig identifies those as Visionary, Participative, and Coaching. According to Craig, a visionary style “establishes standards and monitors performance in relation to the larger vision.” This might be called an inspirational or aspirational style. The participative leader “invites employees to participate in the development of decisions and actively seeks opportunities for consensus.” The goal here is to develop a smoothly functioning, cohesive team of people to accomplish something. This often complements a visionary style. Participative leaders tend to reward the team, not individuals. As you might expect, I believe that the coaching style provides the greatest return on investment by the leader in the long term. Coaching leaders are playing the long game. They realize that transformation for individuals and groups is an incremental, step-by-step process with each success building on the next and each failure providing an opportunity for learning and innovation. Coaching leaders take the long view of individual and corporate development rather than looking for quick wins. What difference would it make if you thought of yourself as a coaching leader?